7’s to Burn is a 3 reel and 5 payline online slot game with great graphics and sounds, as well as loads of rewarding bonus features! 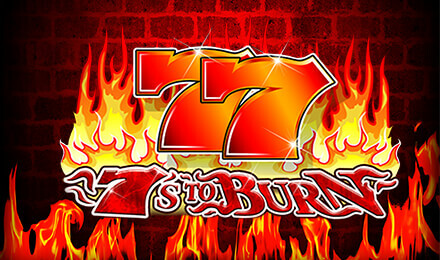 With a 95% RTP, bonus features, multipliers and more, how can you resist 7’s to Burn Slots at Moon Games? Look out for the 77 and Burning 77 reel symbols, which will multiply your wins when you spin 3, and act as Wilds to help complete winning combinations. You can also select the Gamble Feature and go all or nothing – what do you say? Login and play 7’s to Burn Slots today!